Home Business and sales management Can “The Machine” replace traditional sales and business development practices? 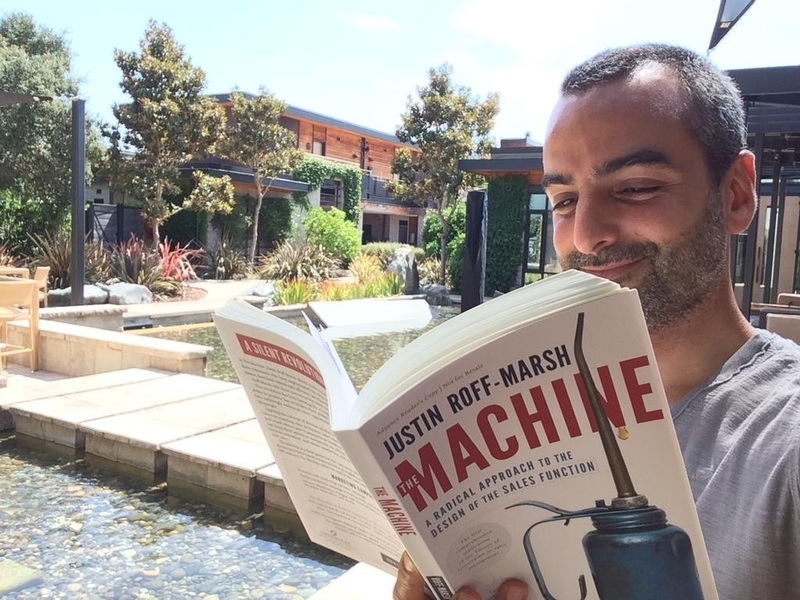 Can “The Machine” replace traditional sales and business development practices? Image from salesprocessengineering.com, the author's wesite. 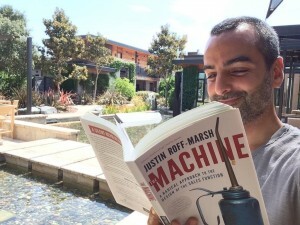 Justin Roff-Marsh advocates in The Machine: A radical approach to the design of the sales function that commission and bonus-based incentives for sales work should be abolished, “inside sales” should be the dominant activity, and that field representatives should operate on tightly scheduled systems where they spend virtually all of their time at pre-set appointments with their clients, with leads and appointments funnelled through a consistent marketing/lead generation system. In other words, he advocates for the end of autonomous lone wolf sales representatives, with much tighter co-ordination between sales and marketing initiatives and goals. Sounds good, but (even he admits) it will require a radical business restructuring for most organizations and that restructuring will only happen if it is made at the very top and presumably introduced by individuals from non-traditional backgrounds. Image from salesprocessengineering.net. the author’s website. Conversely, many contractors rely on “low bid wins the job” opportunities, where selling at most falls to the estimating department, responding to fixed bid opportunities often provided through existing client knowledge or third-party lead generation services. Nevertheless, these facts may make variations of Roff-Marsh’s Machine easier to implement than for other industries with traditional sales employees (such as the publishing community and AEC product suppliers/manufacturers), where there may be plenty of entrenched interests to displace. The challenge, all situations, will be breaking the inertia and the cost at least short-term in burning in the new habits. Consider marketing, for example. Roff-Marsh wisely suggests a marketing rep/co-ordinator needs to be embedded within the sales organization. This helps to align the marketing objectives with the ultimate goal of an effective marketing system: Actionable leads for the sales and business development team (if not direct orders). The trouble here is that most third-party marketing initiatives require a fair bit of trial and error. You need to constantly experiment until you find a model that works for you. This may include organized “discovery seminars” or lunch and learn events, where you apply various advertising and email marketing techniques to draw potential clients to your event, where your business development experts can demonstrate your capacity and turn leads into orders. You’ll need plenty of patience — and extensive online experimentation (if only to speed things up) — to gather enough traction that your initial lead generating process turns into profitable orders. If you already have an existing sales organization, you’ll have other, challenging, transition costs. You’ll need to build out your internal sales/customer service functions before you start tampering with your outside sales responsibilities, and then you’ll need to convince/confirm to your existing sales team that the switch to pure salary from a commission or commission/salary model will not result in any income loss. In other words you’ll need to set a much higher base guarantee. Gulp: Higher fixed costs at a time when you are throwing away the traditional rule-book. Who will do that, unless there is some really powerful overriding force, especially allowing that traditional practices have been the norm since the advent of the modern industrialized business era? To his credit, Roff-Marsh acknowledges these challenges. He provides a formula and process for the change and suggests you can phase it in so that there won’t be unreasonable internal disruption. But you will certainly need to buy in and hold your breath, because you don’t want to be caught in the middle of the worst of both worlds: Higher fixed costs, with a loss of accountability and control as your organization crumbles under the weight of confusing and inconsistent priorities. I thought, as I read this book, “Could I implement these changes in my own organization?” and concluded it would be a really big uphill battle. I would need to significantly increase the income guarantee for our highest producing sales representative, while adding major additional costs in administrative/backbone support and marketing to generate new leads. We might achieve a four-or-five fold productivity increase, but the differentiation and specialization within the work might make it much less interesting and rewarding. I suppose we could mitigate these risks by phasing in the changes and effectively using many of the systems and resources we already have in place, including inexpensive offshore support and a reasonably solid technological strength within our organization. This doesn’t mean the ideas here would be impossible to apply in your business and I might simply be looking for excuses not to disrupt the status-quo. As well, I think there are real merits here if you don’t have a structured sales department because you may find you can engineer the concepts within your existing organization with much less stress than you would find if you employ old-fashioned sales reps.
Next articleThe experience, marketing and business development: How costly does it need to be?